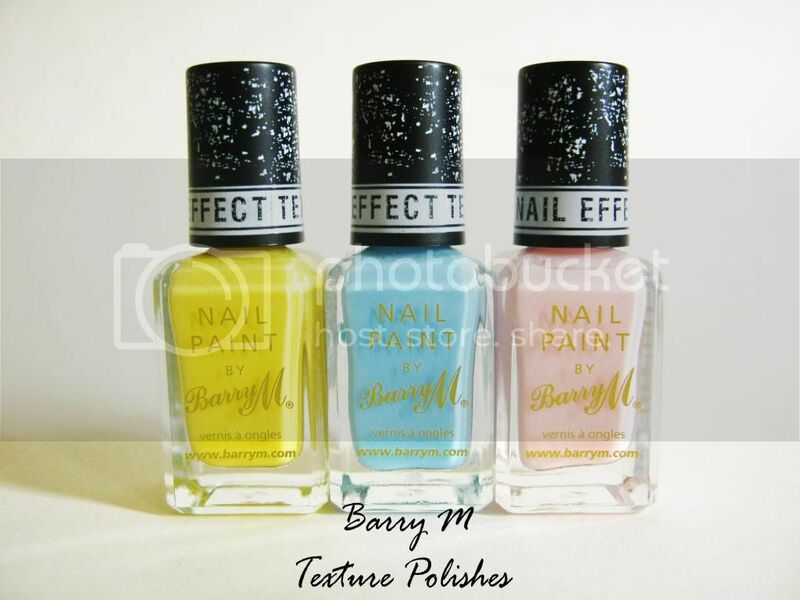 I recently purchased these 3 Barry M nail textured nail paints from Holly's blogsale. I had my eye on them for a while so when I saw them on her blog, I instantly purchased them. I think there are a total of 4 and out of that I have three. The 4th one I think is a pretty green? I think I'll get that too just to finish of the collection! When they came out, I wasn't so sure on them but after seeing so many blog posts on them I kinda decided I 'should' try them Blogger problems? I really like Barry M nail paints and these are quite similar, except they have a gritty texture to them. 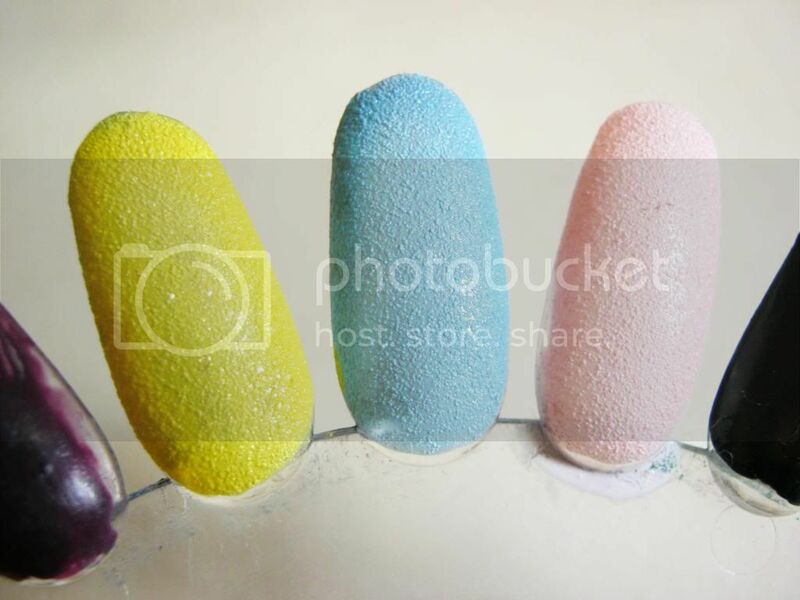 The colours transfer exactly like how they're shown in the bottles, on your nails. Station Road - A lovely pastel yellow that has gorgeous shimmer running through it. Atlantic Road - A baby blue/pastel blue. I adore the shades. They're perfect for this time of the year and I like that they're very soft candy like shades. I think they all have shimmer running through it but it's alot more visible in the yellow. Once you apply about 3 coats, they dry opaque and matte along with reveling the lovely gritty texture. You need up to 3 three coats as the formula is slightly thin but nevertheless, the outcome is really pretty. I didn't think they were for me but turns out I actually love the outcome. They're different and quite artistic in my opinion. Have you tried these Textured Nail Paints? I had one but end up giving it to a friend;) they look nice but I got bored of the effect very quick. I haven't tried these, but they look pretty interesting :) Not sure if it's something I would wear lots though! The pink one looks especially gorgeous. What are they like to remove? I wish they had a white shade think it would look lovely with the textured effect! They're quite easy to remove actually! I really want to try one of these - i love the matte finish! really like the pink one! Yes that's the one! It's so nice! I love the yellow on the shimmer makes it look fairy dust!